SUMMARY: After losing her job and learning she might also lose her house because of a bad investment, Jess, a fiercely independent and hilariously wry BC grandma, resorts to growing pot in her basement to make ends meet. 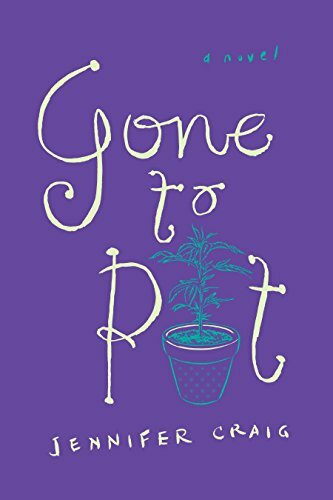 She then has to juggle her public life as a grandmother and member of the town’s senior women’s group – The Company of Crones – with her secret life as a pot grower. The unusual characters she meets along the way include Swan, the enigmatic young woman who introduces her to the grower’s world, and Marcus, the socially awkward “gardener” who shows her the tricks of the trade. Both of her new young friends are more than they appear, and Jess’ adventures in pot growing break down barriers in both her old and new circles. The delightful outcome of an almost legitimate business leaves Jess and her associates flushed with success. THE BACK STORY: Nelson is known as the Pot Capitol of Canada, so when I moved here, I couldn’t help hearing about it. I was intrigued and found out more. WHY SOMEONE WOULD WANT TO READ IT: Because it’s funny. AUTHOR PROFILE: Jennifer Craig, from Nelson, is the author of four published books: a memoir, a book on vaccination, and two novels. 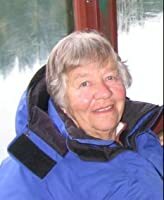 She trained as a nurse in Yorkshire in the 1950s, emigrated to Canada in 1961 and attended a university as a mature, maybe overripe, student. She developed a rather jaded view of the proceedings. Later, as a faculty member, the jade took on a shine that certainly influenced her writing. She is now retired, lives a contented life with a bichon frise and is happy to have two of her six grandchildren live nearby. AUTHOR COMMENTS: The older I get, the more crazy the world becomes.